My sermon this past Sunday morning (Nov. 6) was in regard to the sixth aspect of the fruit of the Spirit: generosity/goodness. Each of my sermons in the series of which this sermon was a part (Acts: The Way, It Works) makes some connection with the fruit of the Spirit and the lives of Christ-followers in the book of Acts. However, I deliberately left the connection with Acts missing from this past Sunday’s sermon … until now. Even just a quick skim of Acts reveals a multitude of instances of generosity/goodness recorded by the book’s author (Luke). Following are twenty-eight examples, one from each of the Acts’ twenty-eight chapters. 1. Giving the community of faith your presence for the sake of united prayer. 2. Giving your heart and your possessions to those in need. 3. Giving your attention to those who have become virtually invisible to others. 4. Giving the word of God to others, freely and without fear. 5. Giving encouragement to others by having a healthy attitude about the things you suffer. 6. Giving welcome and acceptance to those new to faith in Christ. 7. Giving grace to those who misunderstand you, hate you, and work your harm. 8. Giving obvious evidence of your faith by sticking with God and taking your faith with you through all of life’s changes. 9. Giving your talents and skills over to the Lord’s disposal for the blessing of others. 10. Giving your mind over to God for him to teach you new things as to your perspective of, and way toward, others who are very much unlike you. 11. Giving others the gift of an open mind as to their understanding of things. 12. Giving room for others to join you in your service to Christ. 13. Giving energy and motivation to others to keep on keeping on with God. 14. Giving inspiration to fellow Christ-followers by sharing the generous good you have experienced thru God in your life. 15. Giving well-timed use of conciliatory statements in moments of tension. 16. Giving of your home to bless other believers. 17. Giving credit where credit is due, particularly when you see those yet to believe catch a glimpse of what is true and right about God and people. 18. Giving the grace of real connection and helpful guidance rather than the world’s way of criticism and complaining, which only breeds problems and distance. 19. Giving your sinful habits up in public confession and repentance so as to solidify your commitment and to give testimony of the Lord’s work in your life. 20. Giving your daily existence completely over to the Lord so as to not only free yourself from fear and dread, but to lead others to do likewise. 21. Giving yourself over to full establishment of faith in the lives of your children. 22. Giving clear thought as to how you can best share with those who could benefit from knowing why you are a Christian and how you became one. 23. Giving yourself over to intervening for the lives of others. 24. Giving respect to whom respect his due. 25. Giving others the courage of your convictions and standing up for your true rights. 26. Giving prayer to God for others come to faith in God, to become disciples of Christ. 27. Giving thanks to God, openly and sincerely, whether in the presence of believers or not. 28. Giving kindness to others in the ways they need most in the moment. And so, let us make our faith practical. Let us practice what we preach, namely that “God is good, all of the time.” Let us do and give good, generously so, to others, every day, in the name of, and by, the Spirit of Christ Jesus our Lord and Savior. For his glory, not our own. Time for our regular midweek contribution from Canadian pastor Clarke Dixon. Click the link in the title below to read at source and then check out the rest of the series on generosity. What Would Jesus Say About Our Offering? 1. Who is the example of generosity? The rich put in a lot of money while the poor widow put in very little. Yet according to Jesus she is the example of generosity for she is making the greater sacrifice. Suppose I were to peach on tithing and everyone walked away convicted that they ought to give 10% of their income. Now suppose one such person earns a million a year, and therefore commits to giving $100,000 a year. We would certainly celebrate such generosity and the opportunities it would grant a small church like ours to increase in mission and ministry. Now suppose a single mom with children and rent earning $25,000 a year commits $2500. Who is more generous? I do not know this from experience but I would think you could live quite comfortably on $900,000 a year. I also do not know this from experience but I would think a family living on $25,000 per year would miss the $2500 very much. Now we need to make a decision. By commending the generosity of the poor widow is Jesus commanding those of little means to give what little they have or is he challenging those with abundance to break through to greater generosity? For the rich, a 10% tithe may keep the religious police happy, but does it please the Lord? For the poor, a 10% tithe may keep the religious police happy, but does it further cripple people who are already financially beaten down? Which leads us to our next question. 2. Is Jesus celebrating or lamenting? What we may have here is Jesus pointing to the poor widow as an example of someone who is “devoured” by the religious leaders. That she, “out of her poverty has put in everything she had, all she had to live on” (v.44) may be something regrettable. It is worth noting that Jesus next speaks about the destruction of the temple. The poor widow has just given all she had to support something that will soon be under judgement. Or perhaps we have both, that along with a condemnation of the scribes’ warped religiosity is a commendation of the widow’s generosity. The religious leaders are looking to take all the poor widow has to live on, and soon they will be looking to take the life of Jesus. But the poor widow’s heart is generous and she gives what she has to live on, pointing forward to the supreme example of generosity, Jesus, who gives His life. 3. If we were the ones Jesus watched putting our offering into the treasury that day, what would He say? 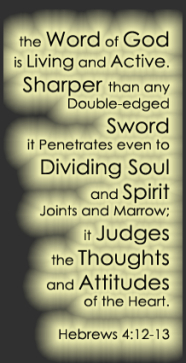 Once again, some great thoughts to consider from weekly contributor pastor Clarke Dixon. Click the title below to read at Sunday’s Shrunk Sermon. Inheritances can be a terrible source of stress for families. The first ever funeral I presided over was graveside with everyone standing, yet they still managed to have a center aisle. A fight over inheritance had already formed the family into two distinct camps. And I had to decide which of two receptions I would attend! So if you want to avoid fights over your possessions when you die, spend you children’s inheritances well! The fool in the parable is foolish for three reasons. First, the fool is keeping an abundance for himself. ‘I’ shows up a lot in his thinking. In fact the only conversation he has is with himself. When you look at your plans for your abundance, your budget, does ‘I’ show up a lot? And when you look at the expenses column, how much of that has been on treasures you can not keep? Second, the fool may be keeping an abundance for a rainy day that may never come. How many of us think ahead and fret over the troubles that may come upon us? And we build our abundance to ensure we will be okay when the rains of trouble fall. We do not know if they will ever fall on us, but we do know that they are already falling on others. We can help others from our abundance, but we won’t if we are overly stressing over our own future. This does not mean that we should not plan for the future, and planning ahead for potential unforeseen financial difficulties is wise. But there is a fine line between between worry about, and proper concern for, between obsessing over, and taking responsibility for. Isn’t relaxing a good thing? Yes, and the Lord makes provision for it through commanding Sabbath rest. But the Kingdom is not built through relaxation. What potential Kingdom projects would never see the light of day because the fool was taking it easy? He had so much potential that was about to go to waste. I am reminded of a slogan popular among atheists recently: ‘There’s probably no God. Now stop worrying and enjoy your life.’ Some Christians responded with ‘There is a God, Now stop worrying and enjoy your life.’ Either way, that sentiment could lead to a lot of wasted potential. With Jesus it is rather: “Jesus is Lord, now stop worrying and pick up your cross and follow.” Stop worrying about abundance, but show concern for a hurting world. We are not to obsess over our own abundance, but we are to obsess over Christ’s Kingdom and the abundance of love that is part and parcel of it. Before we begin today, I also want you to be sure to read an article about the devotional process itself. In it, Erik Raymond suggests we often do what he calls Dental Chair Devotions; a kind of rinse-and-spit process where the goal is to get finished and head out toward doing something else. Today, I want to continue a thought that was raised in the introduction to yesterday’s piece. A longer version appeared this morning at Thinking Out Loud. MSG Matt. 6:19-21 “Don’t hoard treasure down here where it gets eaten by moths and corroded by rust or—worse!—stolen by burglars. Stockpile treasure in heaven, where it’s safe from moth and rust and burglars. It’s obvious, isn’t it? The place where your treasure is, is the place you will most want to be, and end up being. NLT Matt. 10:9 “Don’t take any money in your money belts—no gold, silver, or even copper coins. 10 Don’t carry a traveler’s bag with a change of clothes and sandals or even a walking stick. But in everyday life, the Bibles teaching presuppose you will have a home or a donkey or bread that you may or may not choose to give your neighbor when he comes knocking late at night. This week it occurred to me that at the time the Bible was written, one thing that we can possess that they didn’t was intellectual property. There was no Copyright Act; no Letters Patent. Did Jesus’ earthly father, Joseph the Carpenter have a special way of doing a table that would cause him great consternation if Murray the Carpenter down the road started copying the same concept? You get the feeling that everything was open source. 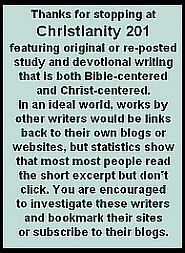 The whole premise of Christianity 201, is that we search the internet for sources of daily Bible exposition and discussion. Unlike the Wednesday Link List at Thinking Out Loud, where some people click and some people just read the list, I think it’s important that these devotional meditations get seen in full, and statistics bear out the reality that most people don’t click through. Most of the bloggers are thrilled that their work is being recognized. C201 doesn’t have quite the readership of Thinking Out Loud, but it possibly represents ten times as much as some of the writers see on their own pages. We get notes of appreciation, and a handful of readers also thank us regularly for putting them onto reading a particular writer. So this week when, for the second time in about 1,450 posts someone strenuously objected to their material being reproduced in full — don’t look for it, it’s been removed — I started thinking about the whole intellectual property issue in the light of Jesus’ teachings. Personally, there’s nothing on this blog that isn’t up for grabs, provided it’s cited properly and quoted properly and being used non-commercially. Like this article? Help yourself. Yes, I have been paid to write and could thereby consider myself a professional writer; but this is only a blog and it’s vital not to get too caught up in your own sense of self-importance; and I say that in the fragile financial state of someone who currently has no other sources of income, as our business does not pay us a regular salary. … I really think when that writer is a little older, they will look back and see the foolishness of trying to hang on to what really wasn’t theirs to begin with. Go Deeper: Some things simply didn’t exist when the Bible was written, such as smoking cigarettes or driving over the speed limit. It’s the same with intellectual property. We have to appeal to the timeless, grand themes of scripture to make behavioral determinations. This year has been and will continue to be a huge transitional year for our ministry, Christian Unity Ministries. This is the year we will transition from a small, church consultation ministry operated by Blake and a few of his friends in their spare time to a full-fledged, global non-profit organization with a paid staff and active arms operating in churches and denominational entities all over the world. Last year’s budget: approximately $75,000. The 2013 budget: approximately $350,000. That, my friends, is a God-sized transition! One of the most painful transitions, it seems, is the one going on in me…the transition toward becoming the visionary leader this new organization will require. And, just to get very specific here for purposes of this post, I am thinking primarily about the transition into becoming a leader in matters of money and fundraising. Anyone who knows me very well at all, knows that I have simply never been very passionate about fundraising. I have long recognized the eternal truth that the love of money is a root of all kinds of evil. And so, it has always been easier for me to just avoid talking (or thinking) about money rather than having to delve into any theology concerning it. For both churches and individuals, there is a difference between a good-sized vision and a God-sized vision…. Today we’re zooming in on part two of a two part series about money… so you might want to read part one. In my last blog I talked about how we take pride in our money and we allow it to bleed into our identity… making us feel like we have all the control over our money, which can create these awkward situations where we convey feelings of pride either in giving or receiving. But the point I made was that God is sovereign over all things, including whatever it was that helped you obtain your wealth… whether your choices or upbringing, etc. And therefore, whatever amount of money you have, that is what God has chosen to distribute to you. Thus, you need not tie your identity to your wealth. Here are some practical ways that this understanding should affect our money. 1) Humility. Knowing that it is God who distributes to whom He wills should disarm our pride over our wealth and lend us to feel humble in knowing that what we have is only of grace… not ourselves. And let’s face it, we could all use more humility. 2) Gratitude. This humility should naturally flow into gratitude, recognizing that this grace is not deserved and that we actually deserve nothing. Yet, God gives to us lavishly. 4) Stewardship/Redistribution. Remember that since God decides in His sovereignty who gets what, then those who have been given much must remember that they have been given much for a reason. You have been made a steward by God, and it is up to you to redistribute to those in need. This is easier to do when you remember that it is not your money. 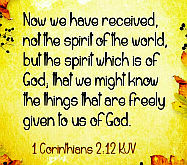 It is God’s… given to you to use for the kingdom in bringing about His good purposes. This knowledge should also directly impact how you spend your money. 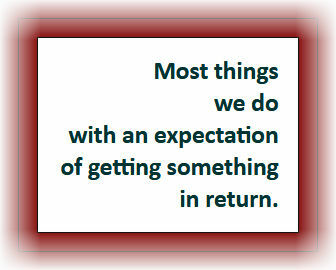 5) Receiving. We need not feel embarrassed when receiving charity, as this is what God has appointed. His way of you obtaining that money in this instance just happens to be a gift of love from someone as opposed to a wage. Is there a better way of feeling the Gospel than receiving a gift instead of earning it yourself? As you can see, this understanding of our wealth brings profound consequences to how we view money. You can stop looking inward in terms of valuing yourself by your wealth and start looking outward by trying to breathe value into others. If God gives abundantly to you, use that money to glorify Him. If He gives you a nice home, use it to entertain in a Christ-exalting way. If you are short of cash and someone helps you out, use that money to His glory and see the Christ-like quality of giving in that moment and worship Him. If the love of money is the root of all evil (1 Timothy 6:10)… then the love of each other will disarm that evil. With the start of a new month, I go back to see what sources we linked to six months ago, and also to see if there’s original anything that was published twelve months ago that might be repeated, as well as sources from that month. Unless you have staff, doing something like this on a daily basis is no small task, and sadly I occasionally run into great blogs that have stopped publishing, such as Feeding the Soul from BBG Ministry. However, if I had staff, I’d spend much effort on mining the depths of the Christian internet, because just because it wasn’t published yesterday, doesn’t mean it’s not relevant. So I thought we’d kick off the new year with a two-for-one special featuring two short devotional articles from Feeding the Soul, starting first with the one I chose for the post title here today, and then a bonus reading. Giving is the only antidote to greed. Jesus says, in Matthew 6:24, No one can serve two masters. Either he will hate the one and love the other, or he will be devoted to the one and despise the other. You cannot serve both God and Money. Jesus is making the point that our heart’s highest loyalty will be for only one thing. We can’t be equally devoted to two things; ultimately one will win out over the other. If money is the most important thing to you (i.e., if you’re greedy), then you will serve your money more than you serve God. And you will find it very difficult to follow God’s instructions to give to others: If there is a poor man among your brothers … do not be hardhearted or tightfisted toward your poor brother. Rather be openhanded and freely lend him whatever he needs (Deuteronomy 15:7-8). If it’s true that no one can serve two masters, then the best way to fight against greed is to make sure that your master (your highest loyalty) is God—not money. Follow God above all else; that way your money will follow God, too. John writes, If anyone has material possessions and sees his brother in need but has no pity on him, how can the love of God be in him? (1 John 3:17). That sounds rather harsh at first, but it’s really no different than what Jesus said in Matthew 6:24. If you love your money more than God, then you’ll keep your money for yourself rather than giving it away to help others. The only way you’ll give generously to others is if you love God more than you love your money. So, how do you know if you love God more than money? By examining what you do with your money: Do you keep most of it, or give most of it? If you want to fight against greed (that is, if you want to love God more than your money), then you’ll follow God’s instructions to give—give to the poor, give generously, give joyfully, give liberally, and give regularly. Giving is the best weapon against greed. Faith is the ability to see God in the dark. Have you ever felt that God isn’t with you? That when life became tough and darkened God abandoned you? Such a feeling is common to many Christians. However, you must not rely on feelings; instead, you must rely on faith, knowing that God is always there—you just may not always be able to see him in your circumstances. That’s why faith is so important. Hebrews 11:1 defines faith as being sure of what we hope for and certain of what we do not see. For example, if a family member dies, you may understandably question whether or not God could possibly be with you during such difficult times. However, by faith, you can be certain of what [you] do not see—certain that God was there watching over the whole situation. Romans 4:19-21 describes how Abraham had faith even though it looked like God could never do what he said he would: Without weakening in his faith, he faced the fact that his body was as good as dead—since he was about a hundred years old—and that Sarah’s womb was also dead. Yet he did not waver through unbelief regarding the promise of God, but was strengthened in his faith and gave glory to God, being fully persuaded that God had power to do what he had promised. In his dark circumstances, Abraham could still see God—he had faith. That’s the same type of faith to which God is calling you. I can’t think of a topic that pastors hate preaching about more than giving. It appears like they are just taking their 30-minute sermon time and holding out their hat in their hand and rebuking the congregation for not doing enough. But in fact, no pastor would be declaring the whole counsel of God, if they didn’t, at least every two or three years, broach this difficult and sensitive subject. The title of this post is a bit of a misnomer, for several reasons, not all of which we’ll get into here. Andy Stanley uses the term I prefer, “percentage giving.” Others teach that the requirement to tithe ended with the Old Testament era, though the Apostle Paul seems fairly clear about supporting those who teach you, and about giving to widows and orphans. For the rest of today’s consideration of offerings and tithes, we turn to Trent Griffith, pastor of Harvest Bible Chapel in Granger, Indiana, where this appeared on his blog as The Truth Behind The Tithe. Be sure to read the introduction carefully so you’re following the rest of the piece. Tithing is one of the most misunderstood concepts in the bible. Giving ten percent of your income is certainly noble and would be a worthy goal for every Christian. But if you think 10% is God’s and 90% is yours, you’ve missed the truth behind the tithe. The Old Testament teaching on tithing was more akin to our modern tax code than generosity. There were actually 3 different tithes required in the Old Testament to fund the theocratic government. One was to be paid every third year. So if you follow the pattern of the Old Testament tithe you would actually be paying 23.3%. But remember it was more like paying your taxes. What is the biblical teaching on giving? Pay your taxes AND give generously to the Lord from your heart. I believe the Old Testament teaching on the tithe reveals 10 truths BEHIND the tithe that every New Testament Christian must embrace BEFORE he can consider himself an obedient giver. 1) Give with pre-determination. Rather than asking, “What should I give?” every time God gives to you, decide now. Just like you budget for recurring expenses, predetermine where and how much you’re going to invest in funding ministry before it comes in. 2) Give as a priority. God’s priority is always give, save, spend NOT spend, save, give. When you have the right priority your giving will determine your spending. When you have the wrong priority, your spending will determine your giving. 3) Give a percentage. Don’t get hung up on 10%. Some can’t give 10% but can still give generously in faith. Others can give 10% without exercising faith. Generosity is not determined by what you give. Generosity is determined by what is left over after you give. Whether you give 10%, 11% or 1%, give something that stretches your faith. Giving a percentage of your income forces you to look at all of your income and expenses from God’s perspective. Do you know what you make? Spend? Give? If not, how can you determine if you are being generous? 4) Give the first and best of what God provides. Quit feeling so generous when you drop off your old underwear at Goodwill. God doesn’t want your leftovers. Give God your best stuff. Give off the top of everything you take in. Write the check for ministry before you write the check for the mortgage and groceries. 5) Withholding what belongs to God forfeits God’s presence. In Malachi 3:6-9 God tells his people why He had left them. They had stolen what rightfully belonged to God. If God seems distant to you, you might to see if you have His money in your bank account. 6) Bring what you give to the place of worship. In the Old Testament, God’s people brought the tithe to the place where they worshipped. Today, God’s people should bring their gifts to the local church where they worship. The local church is God’s plan to reach the world. Other ministry giving should be above and beyond your responsibility to fund the ministries of your local church. 8) Giving acts on the promise that God has plenty. Only when you believe that God can open the windows of Heaven to supply all your need will you give at a level that demonstrates faith. 9) Giving invites God’s protection. 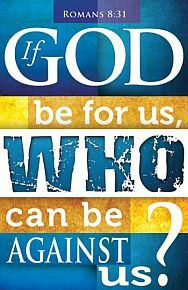 Malachi 3:11 promises God will “rebuke the devourer” for those who honor God in their giving. Times of economic hardship are the worst time to hold out on God. You can’t afford to go without God’s protection during difficult times. Get God’s money where it belongs now, before God sends the devourer to collect it! 10) God delights in blessing people who give in faith. Do you want God to bless the things you care about most? When you give God’s way He will ensure that you become the object of His blessing so others will take note of His ability to provide. God has no greater delight than showing off His glory in those who trust him with their finances. A year or two ago my friend Gina loaned me a book by Nancy Leigh DeMoss titled, Brokenness. I found the whole book helpful, but especially the description of what brokenness is. I printed this out last week to distribute to the class I am teaching on the holiness of God, and thought I would reprint it here. Warning: it is very convicting. Proud people focus on the failures of others. Broken people are overwhelmed with a sense of their own spiritual need. Proud people have a critical, fault-finding spirit; they look at everyone else’s faults with a microscope but their own with a telescope. Broken people are compassionate; they can forgive much because they know how much they have been forgiven. Proud people are self-righteous; they look down on others. Broken people esteem all others better than themselves. Proud people have an independent, self-sufficient spirit. Broken people have a dependent spirit; they recognize their need for others. Proud people have to prove that they are right. Broken people are willing to yield the right to be right. Proud people claim rights; they have a demanding spirit. Broken people yield their rights; they have a meek spirit. Proud people are self-protective of their time, their rights, and their reputation. Proud people desire to be served. Broken people are motivated to serve others. Proud people desire to be a success. Broken people are motivated to be faithful and to make others a success. Broken people desire to promote others. Proud people have a drive to be recognized and appreciated. Broken people have a sense of their own unworthiness; they are thrilled that God would use them at all. Proud people are wounded when others are promoted and they are overlooked. Broken people are eager for others to get the credit; they rejoice when others are lifted up. Proud people have a subconscious feeling, “This ministry/church is privileged to have me and my gifts”; they think of what they can do for God. Broken people’s heart attitude is, “I don’t deserve to have a part in any ministry”; they know that they have nothing to offer God except the life of Jesus flowing through their broken lives. Proud people feel confident in how much they know. Broken people are humbled by how very much they have to learn. Broken people are not concerned with self at all. Proud people keep others at arms’ length. Broken people are willing to risk getting close to others and to take risks of loving intimately. Proud people are quick to blame others. Broken people accept personal responsibility and can see where they are wrong in a situation. Proud people are unapproachable or defensive when criticized. Broken people receive criticism with a humble, open spirit. Proud people are concerned with being respectable, with what others think; they work to protect their own image and reputation. Broken people are concerned with being real; what matters to them is not what others think but what God knows; they are willing to die to their own reputation. Proud people find it difficult to share their spiritual need with others. Broken people are willing to be open and transparent with others as God directs. Proud people want to be sure that no one finds out when they have sinned; their instinct is to cover up. Broken people, once broken, don’t care who knows or who finds out; they are willing to be exposed because they have nothing to lose. Broken people are quick to admit failure and to seek forgiveness when necessary. Proud people tend to deal in generalities when confessing sin. Broken people are able to acknowledge specifics when confessing their sin. Proud people are concerned about the consequences of their sin. Broken people are grieved over the cause, the root of their sin. Proud people are remorseful over their sin, sorry that they got found out or caught. Broken people are truly, genuinely repentant over their sin, evidenced in the fact that they forsake that sin. Proud people wait for the other to come and ask forgiveness when there is a misunderstanding or conflict in a relationship. Broken people take the initiative to be reconciled when there is misunderstanding or conflict in relationships; they race to the cross; they see if they can get there first, no matter how wrong the other may have been. Proud people compare themselves with others and feel worthy of honor. Broken people compare themselves to the holiness of God and feel a desperate need for His mercy. Proud people are blind to their true heart condition. Broken people walk in the light. Proud people don’t think they have anything to repent of. Broken people realize they have need of a continual heart attitude of repentance. Proud people don’t think they need revival, but they are sure that everyone else does. Broken people continually sense their need for a fresh encounter with God and for a fresh filling of His Holy Spirit.